Born from the ruins of an Incan city, Ecuador's capital offers both the comforts of a modern cityscape and cultural treasures of a World Heritage site. 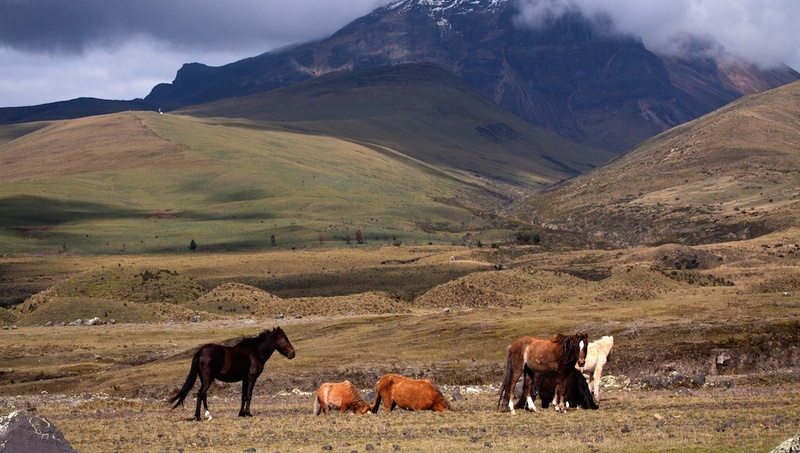 Surrounded by volcanic peaks, Quito is abundant in breathtaking natural beauty and perfect for adventurers. 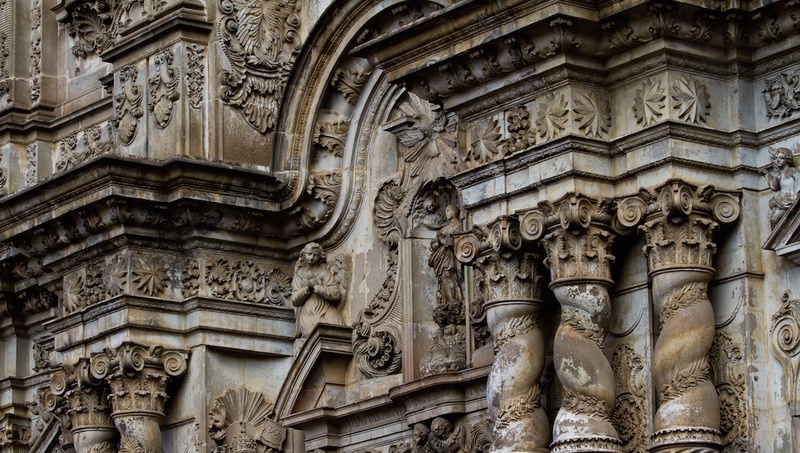 This astouding baroque masterpiece is often claimed as Ecuador's most beautiful church. The ornate interior is guaranteed to dazzle. Admission is $4 with a guided tour. 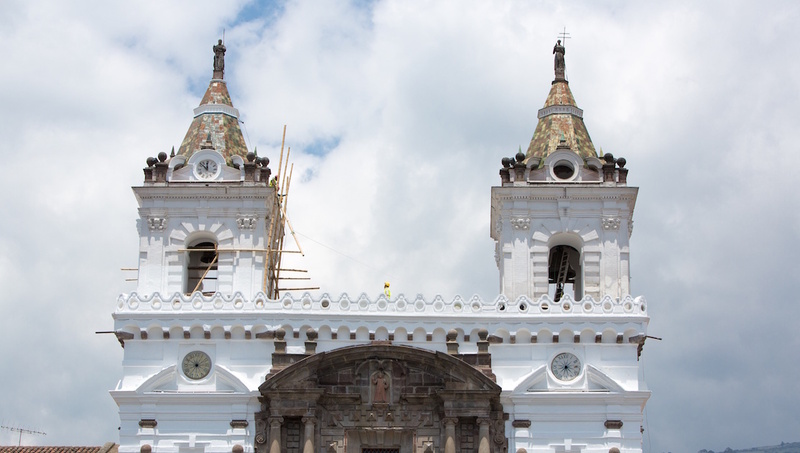 Built shortly after Quito was founded in 1534, this is one of the city's oldest churches. It's an impressive spectacle with stunning colonial design and a rich cultural history. Overlooking Quito is this fascinating museum and gallery of Guayasamín's life work. The building itself is one of the painter's greatest works of art and is best explored by tour. This impressive statue of the Virigin Mary sits atop the hill of Panecillo. 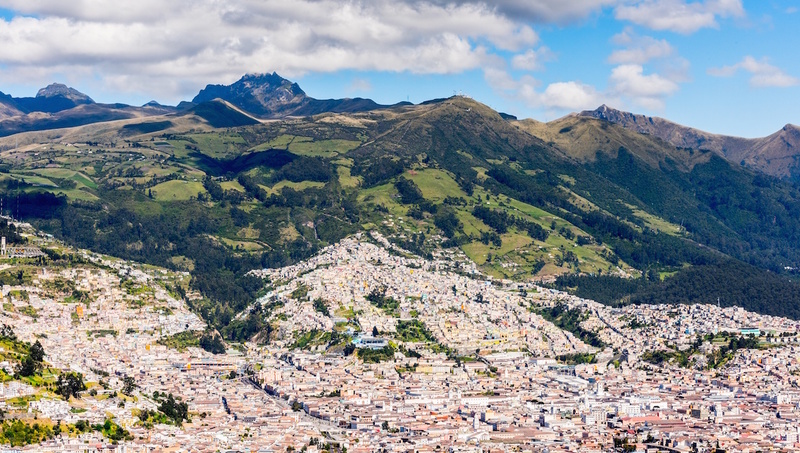 Whether you climb by foot or take a taxi, you're guaranteed breathtaking views of Quito's best sights. Take a ride on Quito Teleferico - one of the world's highest aerial lifts - to see stunning views from Pichincha's base. Try and wait for a clear morning to get the full effect. A beautiful natural treasure, this expansive reserve is one of Ecuador's most popular attractions. For a day trip, it's best to drive and then explore on foot. Admission is $10. 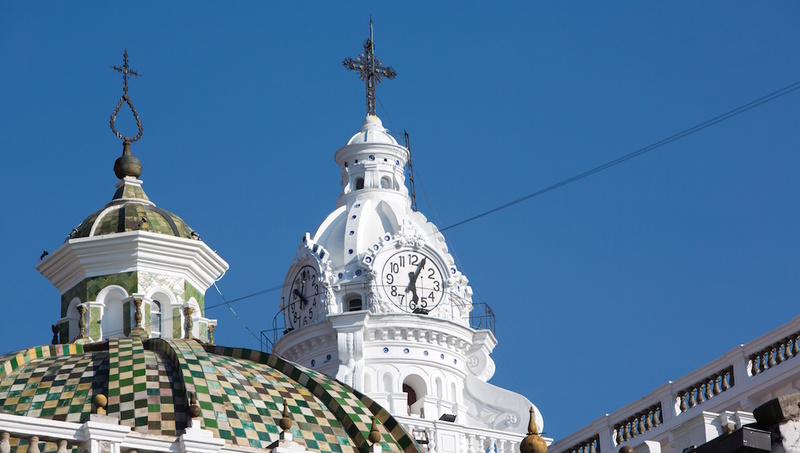 Found in the Independence Plaza, the Metropolitan Cathedral is a beautiful blend of architectural designs. Inside, view its stunning colonial art collection unrivalled in Quito. A wonderful family park packed full of things to do. Rent a kite or paddleboat in the sunshine. Or visit the park's botanic gardens and vivarium for a great display of wildlife. 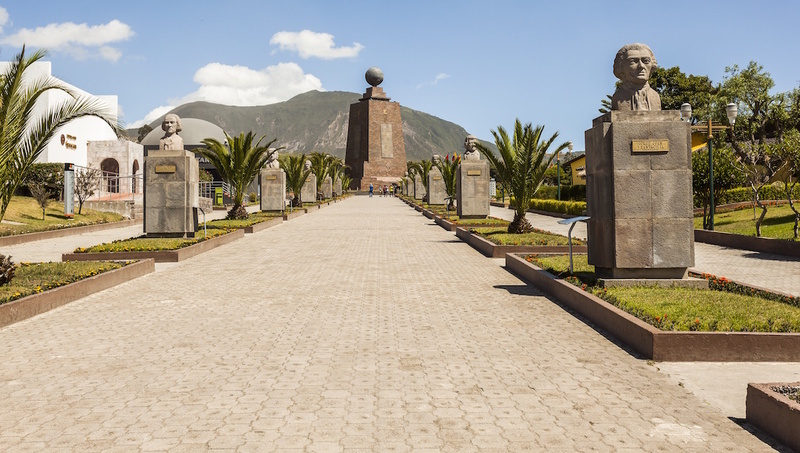 Journey to the "City at the Middle of the World" to see this stunning monument marking the equator line. It's a picture-perfect sight and also home to an Ecuadorian history museum. 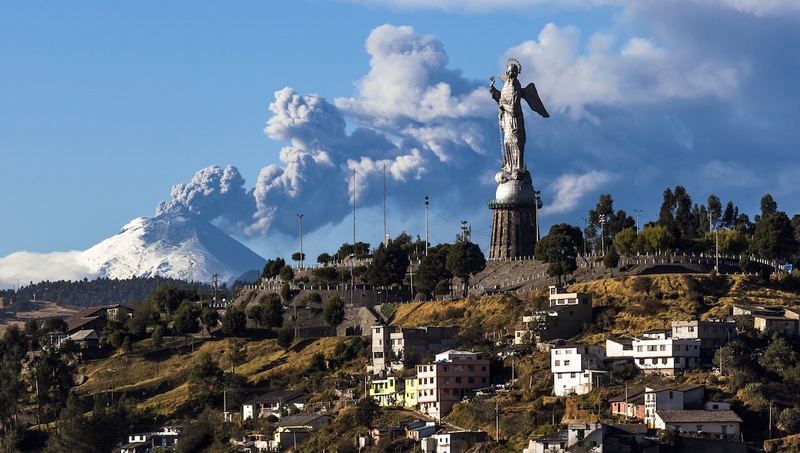 When's the best time to visit Quito? Falling on the equator, Quito has wet and dry seasons rather than clear-cut summer and winter months. If you want a sunny visit, then June to August is best. Its busiest periods are mid-June to September and late December to early January, so book well in advance if you're planning your trip for those periods. There's a wealth of must-see sights, beautiful beaches and stunning natural surroundings in Quito, with plenty to do if you venture outside of the city, too. Most recommend at least three full days to see Quito's treasures, but a more well-rounded trip would benefit from a week. The most popular spot to stay is near the Mariscal. Here there are plenty of guesthouses, hostels, bars and eateries to suit any budget. However, for a taste of traditional Quito, head for the old town, home to most of the city's most treasured, ancient sites. Given Quito is so near the equator, year round temperatures are generally pleasant and warm. There is, however, a rainy season which lasts from December through March. Best plan your trip for June, July, or August. Want to discover all there is to do in Quito? Click here for a full list. Well done and many thanks to the complete team. We can fully recommend to join this Trip. Our guide Alex was informative as well as entertaining. I got really drenched and he was so kind. Our driver even lent me his jacket. Lots to see and lots to learn. I would recommend this tour highly.